Alhambra, California: A National Excelsior Publication, 1963. First edition, one of 400 numbered copies of the artist’s first book. Small octavo, original white wrappers, printed in red. 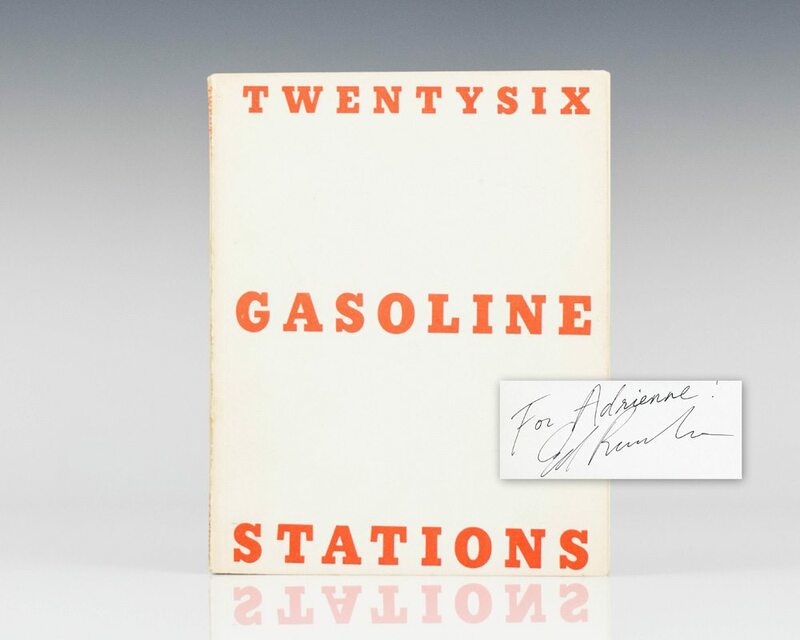 This example was one of Ruscha’s personal author copies. 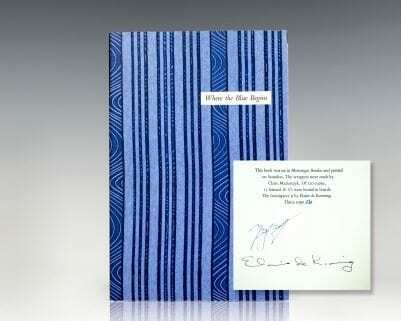 He presented this copy to a fellow artist whose parents owned Anderson, Ritchie & Simon—the printing firm that produced many of Ruscha’s books.Presentation copy, inscribed by Ed Ruscha and additionally signed again by Ruscha on the dedication page. Spine slightly toned, near fine. Housed in a custom half morocco clamshell box. 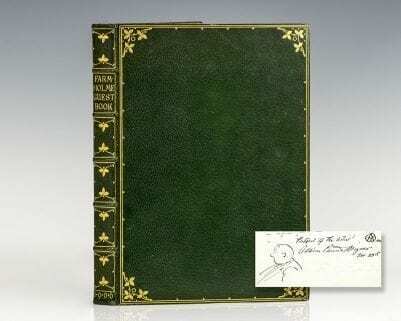 First edition, one of 400 numbered copies of the artist’s first book, this is number 180. Small octavo, original white wrappers, printed in red. Signed by Ed Ruscha on the title page. Near fine in the rare original glassine. Housed in a custom half morocco clamshell box. Los Angeles: Edward Ruscha, 1966. First edition, first issue with the extra flap. 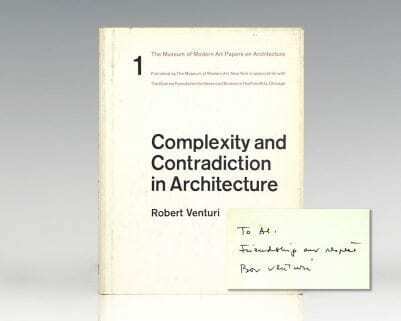 Inscribed by the artist on the title page, “For Robert Ed Ruscha.” One continuous accordion-fold page composed of glued paper segments with black-and-white photographs of every building on the sunset strip. An excellent example in the original slipcase. Housed in a custom half morocco clamshell box. First edition, second issue. Small octavo, original stiff self-wrappers, original slipcase. Inscribed by the artist on the title page, “For John Ed Ruscha.” One continuous accordion-fold page composed of glued paper segments with black-and-white photographs of every building on the sunset strip. Fine in a fine slipcase. Housed in a custom half morocco clamshell box. An exceptional example. First edition, second issue. Small octavo, original stiff self-wrappers, original slipcase. Association copy, inscribed by Ruscha to his aunt, “For Aunt Carol Ed Ruscha.” One continuous accordion-fold page composed of glued paper segments with black-and-white photographs of every building on the sunset strip. Near fine in a very good slipcase. An exceptional association.